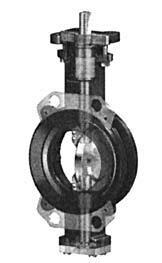 Butterfly valves have a wide variety of uses for high flow applications. They are the best solution where cost is a factor. 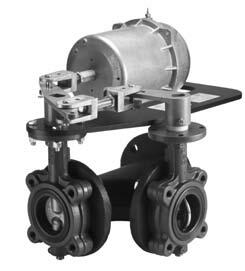 They are available with pneumatic or electric actuators, from 2'' to 24'', 2-way, 3-way, for steam, chilled or hot water. Direct Digital Control Of Chilled Or Hot Water. 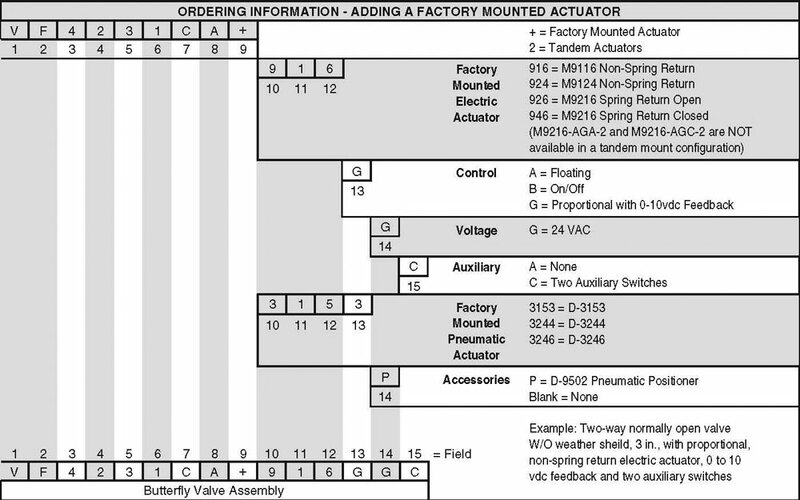 For 3-way electric & pneumatic butterfly valves, call your NECC sales engineer. Johnson has a complete range of sizes, styles, pressure ratings and control signals. 50, 150 and 175 psi ratings. 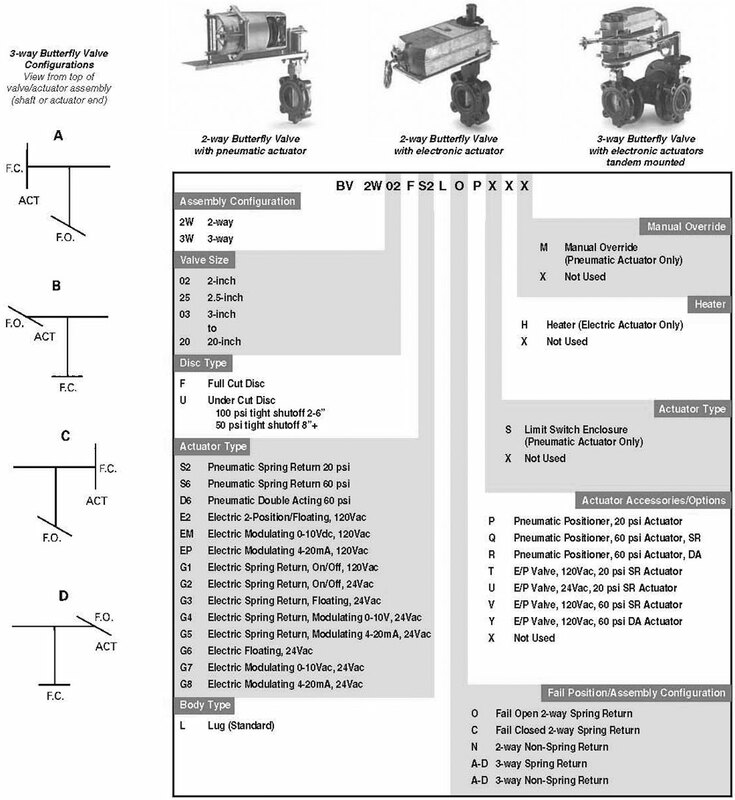 Two position and proportioning electric and Pneumatic actuators available. 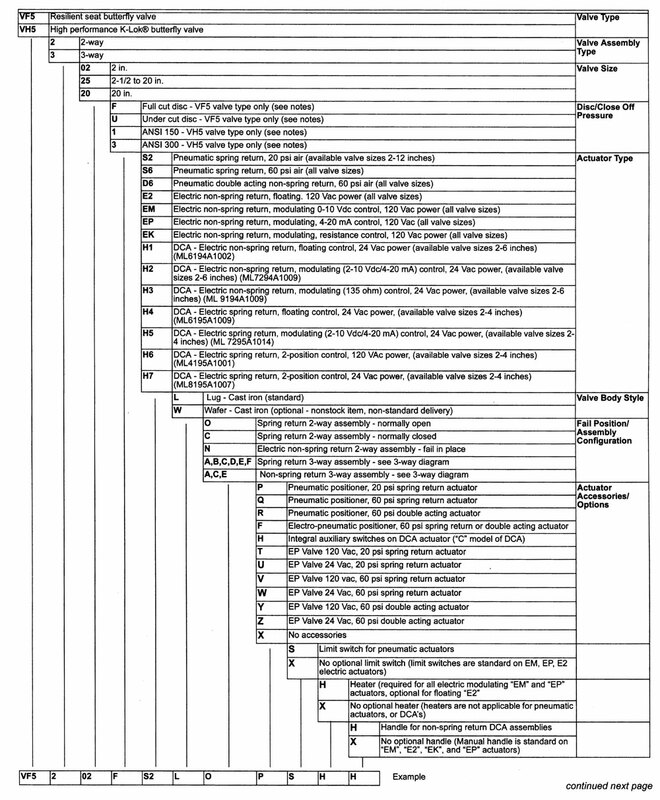 Use the selection chart below or give us your application and we’ll build the order number for you. 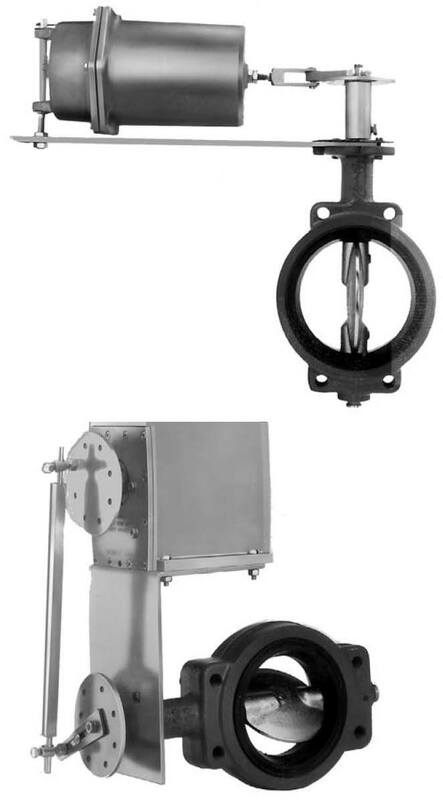 These Butterfly Valves are designed specifically for a wide range of HVAC applications including two-position and modulating control of hot, chilled, or condenser water and 50/50 glycol solutions. 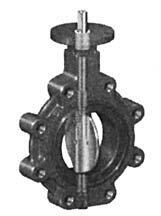 They are also bidirectional, allowing positive shutoff with the flow in either direction. M9000 electrically actuated models are available with or without a rugged, factory installed weather shield. Two-way configurations are available in sizes from 2 through 6 in. for M9000 electrically actuated and 2 through 10 in. for D-3000 pneumatically actuated assemblies. Three-way configurations are available in sizes from 2 through 6 in. 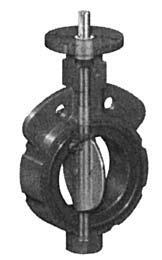 for M9000 electrically actuated and 2 through 8 in. for D-3000 pneumatically actuated assemblies. 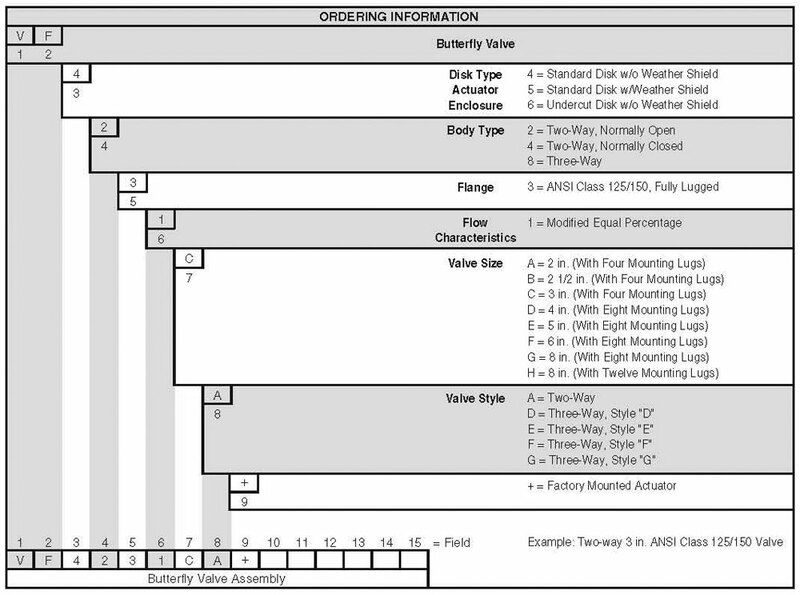 Use the configuration chart below to add an actuator. Available in many configurations and signals and wafer and lug body styles. Resilient seat provides bubble-tight shutoff. 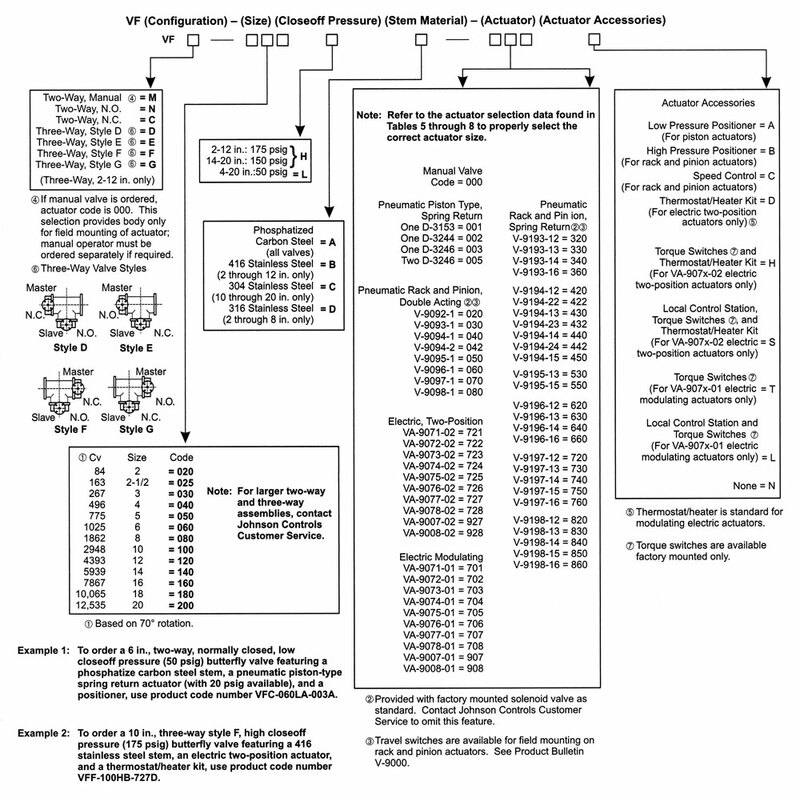 Use the configuration chart below or contact your NECC sales engineer and have them do it for you.